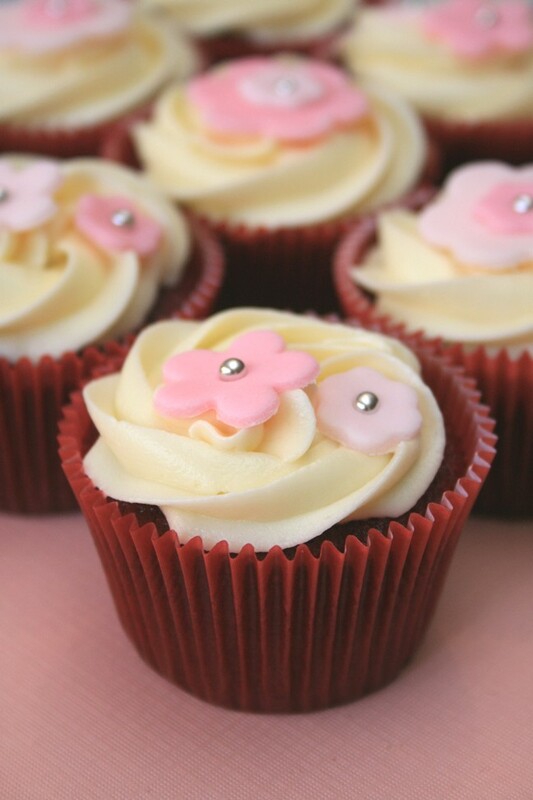 Red Velvet Baby Shower Cupcakes | Some More Please! So pretty! I have never made Red Velvet Cupcakes but I was just talking today about finally getting around to it. Thanks for the beautiful inspiration and the recipe suggestion!